Congratulations to the Regent Mock Trial Team! 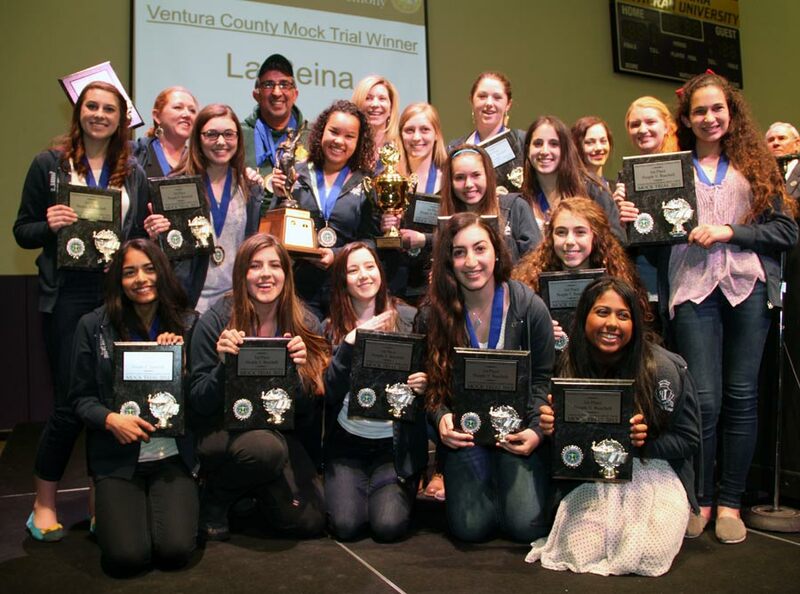 They captured the 2012 Ventura County Mock Trial Championship today. This achievement marks the 17th county title for La Reina since 1990; in October, the team also won the 2011 Empire Tournament World Championship. Individual awards were earned by Devin Montgomery '15, third place, Clerk; and Valentina Oliver '12, second place, Courtroom Journalist. The Regents now advance to the California State Mock Trial Competition, as defending 2011 champions, to be held on March 25 and 26 in Sacramento. Team members include Olivia Aulicino '14, Ryanne Bamieh '14, Hannah Delsohn '13, Kate Draper, '14, Leila Flanagan '15, Camilah Hamideh '14, Lauren Hearne '12, Elizabeth Hribal '13, Reilly Jones '15, Lena Melillo '13, Devin Montgomery '15, Valentina Oliver '12, Olivia Polk '12, Genesis Sandoval '13, Nisha Srinivasa '14, Edie Sussman '15, Rachel Warner '13, Hannah Young '12 and Ally Zlaket '15. Special thanks to attorney coaches Ron Bamieh, Jean Wentz, Rick Wentz and Kendall Jones; to faculty adviser, Liz Harlacher, and to assistant faculty adviser, Nayantara Bhushan '08. Read this story as featured in the March 3 Ventura County Star!